Got a deck of cards? Sure you do. How long have you had them? How often do you use them, and when using them I bet your are around friends. Playing cards are a great promotional item, and since 1986, Apollo has manufactured custom-imprinted playing card here in the United States. A Made in the USA stamp can easiely be added to your artwork, so everyone knows these are made in USA cards. Apollo can 100% customize backs of the cards, as well as faces. Use your our product images for each suit. Let HR create a safety deck, with the procedures for the plant printed right on the cards. In the food and beverage industry? Cards make great point of purchase give-aways, printed with your brand or latest marketing campaign, or contest. 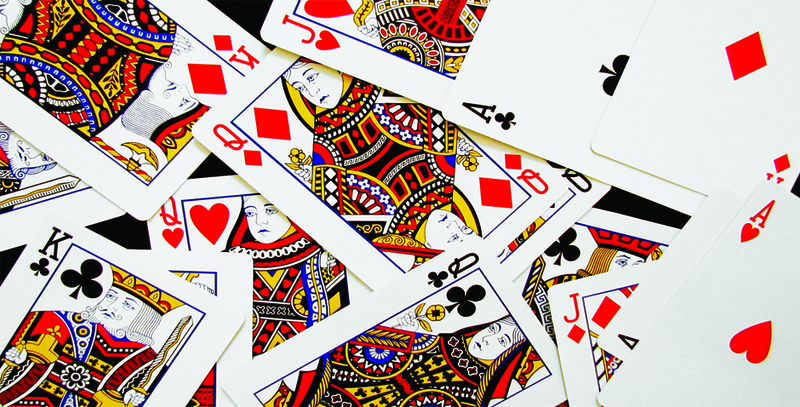 Apollo supplies art templates for both bridge style and poker style decks. And additional information cards, maybe a menu, maybe a product overview, maybe a contact card, can easily be added to your deck. Custom packing can of course also be created. If you are interested in Apollo Made in the USA playing cards to promote your own business, or to get a sample, email info@proformagreen.com for information and pricing.